According to the Federal Bureau of Investigations, about 2 million homes are burgled every single year in the US. Most of these burglars typically target electronics, gadgets, TVs, jewelry and wrist watches. 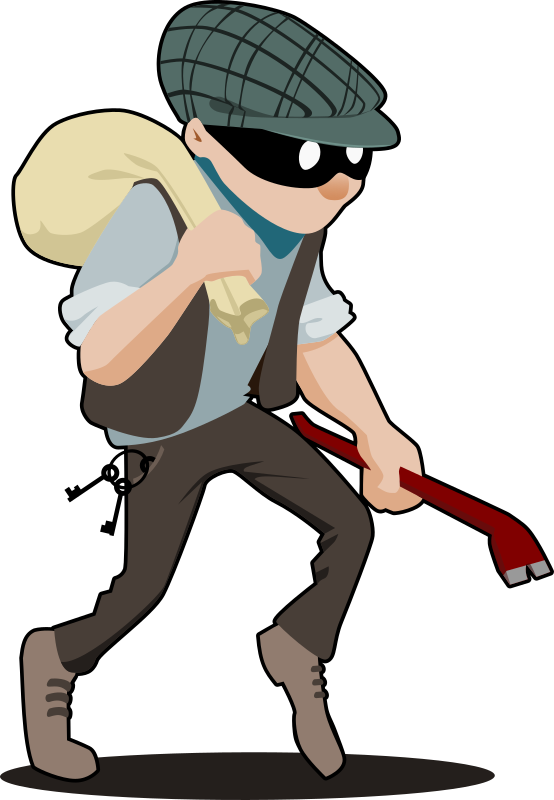 The average dollar value of items stolen from every burgled home is over $2,000. That is over $4 billion lost annually as a result of people’s homes being broken into. Now, if it were just about the monetary values of the stolen items, the loss would not be that much. However, the stolen items frequently have sentimental value and are often irreplaceable. The sad thing is that many of these break-ins are preventable. With a few security steps, the victims of these burglaries could have deterred the thieves from breaking in or scared them away. If you want to secure your property properly against theft, the following tips can help you do just that. By security system, we mean alarms and cameras. These can be set up in such a way that they are triggered once there is an intruder on your property. While alarms may not physically deter or stop a thief from dashing in and out of the house, it will surely cause them to hasten up. This means less time in your home, and less time in your home means they probably won’t be able to find well-hidden valuables. If you want, you could install a silent alarm system that’s quietly triggered when the break-in happens and reflects at the security company’s office. This is effective because the thief might think there’s nothing to worry about meanwhile the company would have called the police to report a break-in. Apart from this, a security system means lower insurance payments for you as you are considered a low-risk client by the insurance firms. While the security system works, it is not as efficient as a guard dog. Having a guard dog in the yard patrolling the grounds when you are not around will most scare all but the most determined and experienced burglars. However, even an experienced thief would prefer to target a home without a guard dog than one with. In the end, it is not just about security that works: it is about making your home a less attractive target. The one thing that attracts thieves and burglars is broken or cracked windows. To them, it is simply an invitation to come in as they believe that homes or properties with cracked windows are easy to break into. So, fix your windows, secure your burglary and make sure that your windows are not inviting the robbers. Most break-ins happen at night in homes and properties without proper exterior lighting. Fix this by simply installing adequate lighting in the compound. If you want, you could install motion detectors that would automatically trigger your halogen lamp’s glare and the alarm, or install heat-sensing lights that come on only when humans come within the proximity of your compound at night. If you have valuables in the house, do the smart thing and put them in unlikely places. Most thieves have an idea of where people keep their valuables. Disappoint them by changing from regular locations like under the mattress, in the jewelry box, cookie jars and refrigerators to other less thought-of places. Be creative and smart about this, and you just might find your valuables intact even when there’s a break-in. Finally, take care of your yard. Cut the grasses, trim the shrubs, hedges or bushes and keep the line of sight clear and unobstructed. Most thieves will hide in these places to monitor and observe their mark’s house. Don’t encourage them. About the author: The writer, Oscar King, is himself a home owner who looks for the various ways to protect his home from threats that may come from people or even natural disaster. As a last measure of defense, he has a solid homeowner's insurance plan, and for those looking for coverage he recommends insuranceland.org. You can learn more about Oscar on Google+. Great Information!! Home alarm systems and CCTV cameras are best way to protect your home during any type of emergency. These security systems provide top class security from intruders.